Melissa contributes to Editorial and Research operations for Asia Briefing in China and India. She monitors the political changes, economic policy, legal and regulatory developments that are of interest to foreign investors and multinational companies in these regions. 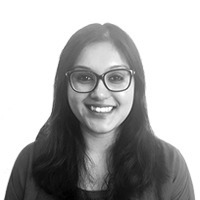 Her work includes producing business intelligence and market research for open-source and subscription publications on the China Briefing and India Briefing websites, magazines, business and tax guides, and special issue reports. She provides editorial support and management across Asia Briefing’s multiple regional platforms. Prior to joining Dezan Shira, Melissa studied Politics and International Relations at Jawaharlal Nehru University, following it up with a specialization in Middle East politics, focusing on the Arabian Gulf region. She is an avid contributor to academic publications on politics and diplomacy, strategy, migration studies, and foreign policy. She is a native of Delhi, India.